What is the significance of water baptism? Who should be baptized? Is infant baptism scriptural? Which is the proper baptismal mode: sprinkling, pouring, or immersion? Should people be rebaptized if they join a church that teaches a different form of baptism? Should baptism be required for church membership? 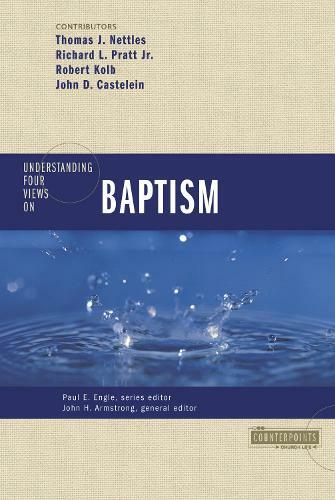 These and other questions are explored in this thought-provoking book.Four historic views on baptism are considered in depth:* Baptism of the professing regenerate by immersion (Baptist)* Believers' baptism on the occasion of regeneration by immersion (Christian Churches/Churches of Christ)* Infant baptism by sprinkling as a regenerative act (Lutheran)* Infant baptism of children of the covenant (Reformed)Each view is presented by its proponent, then critiqued and defended in dialogue with the book's other contributors. Here is an ideal setting in which you can consider the strengths and weaknesses of each stance and arrive at your own informed conclusion.